When we posted the latest "M" build for CyanogenMod 11, I wondered when the release candidate of the popular custom ROM was coming. It's going to be a while, since apparently they're now a thing of the past. According to the latest CM blog post, that doesn't indicate any real change - they're just moving things around a bit. M builds are now the top tier of CyanogenMod, with nightly builds occupying a lower and more risky level of ROM, followed by pre-alpha "experiments." Don’t expect a build labelled ‘stable’. No one could accuse the team at Cyanogen of rushing anything to market. Six months after KitKat debuted, the CyanogenMod team is still perfecting its modified release for dozens of devices. The sixth snapshot or "M" build is rolling out on the buildbox right now. Custom ROM fanatics, you know what to do. "M" builds are generally more stable than nightly builds, but still not good enough to make it to Release Candidate status. The Paranoid Android family of custom ROMs has a history of adding interesting custom user interface elements, but since re-starting with KitKat, the developers have been trying out some new ideas. One of the first new features for the revamped PA is called Hover, and it's basically a complete rethinking of the Halo idea. Hover is a short-lived visual overlay that temporarily replaces the notification bar with a richer and more useful version, including expandable alerts and floating windows. Cyanogen, Inc. has been adding staff to its small but growing roster at a steady pace ever since the company had its big coming out party. 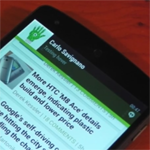 And like its initial team, a lot of them have come from the Android modding and ROM community. Cyanogen's latest hire might be familiar to some of you: François Simond, better known online as "Supercurio." Mr. Simond was kind enough to let us break the news, and also pick his brain on topics like CyanogenMod, audio and video calibration, and mobile computing in general. 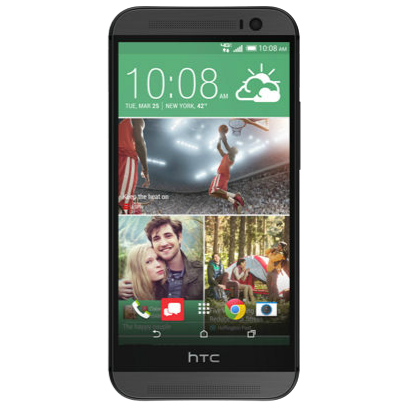 Verizon was the first US carrier to get the HTC One M8 on its airwaves, if only by a nose. 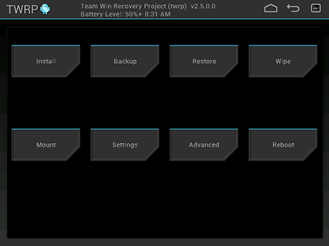 Even so, it took the folks at Team Win Recovery Project a little longer to get their much-loved TWRP custom recovery onto the Verizon version of the phone, probably because it takes a little more effort to get around the carrier's locks. But whatever the reason, it's here, and ROM aficionados on Big Red will surely be grateful. 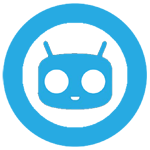 The folks at CyanogenMod take a long, long time to develop a custom ROM before they'll slap a "stable" label on it. They don't make any apologies for this, but if you're particularly impatient for a more reliable version of CM 11 (Android 4.4), you can check out the latest snapshot builds. The "M5" builds are rolling out for some of the better-supported devices at the moment, and more should be available throughout the day. 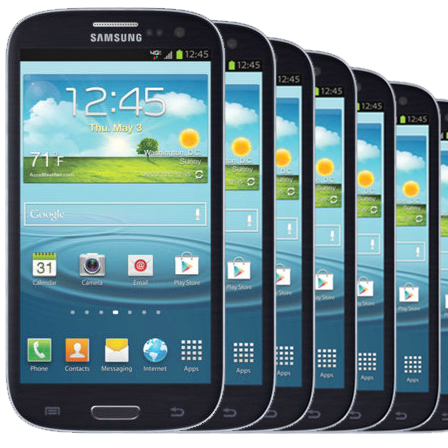 For custom ROM addicts, the custom recovery is an essential tool, and lately Team Win Recovery Project (usually shortened to "TWRP") has been the most popular option as of late. 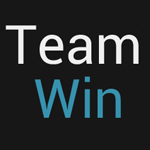 Today Team Win upgraded the core recovery to version 2.7.0.0, with more new features than you can shake a stick at. The latest version is available for dozens of officially-supported devices on the Project website. Among the more interesting additions in TWRP 2.7 are sideloading from the /tmp directory on encrypted devices, support for a mouse via a USB OTG connection (for devices with broken touchscreens), haptic feedback for buttons and finishing actions, and caps lock support for keyboards. 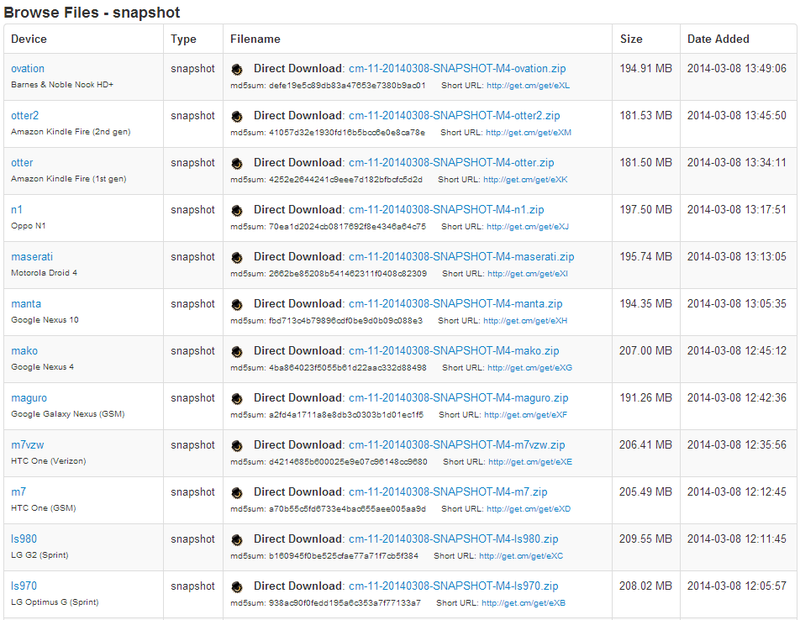 We're getting closer and closer to a stable KitKat release of the popular aftermarket Android ROM, CyanogenMod. 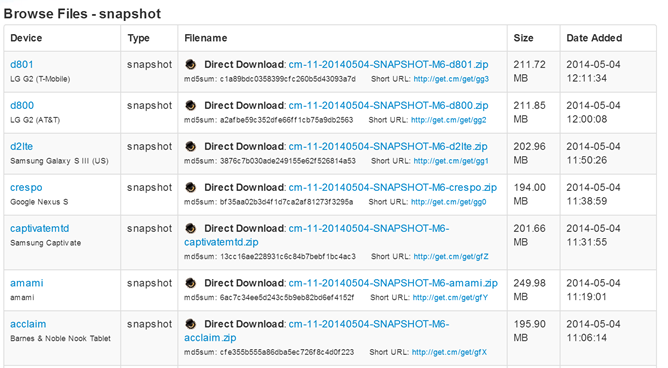 The "M" snapshot releases are more stable than a nightly, but not quite as final as a release candidate. 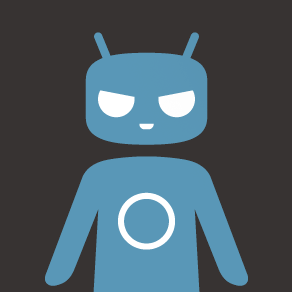 The fourth M build for CyanogenMod 11 (Android 4.4) includes a wide range of updates that hadn't yet made it to the KitKat builds, according to the official CyanogenMod blog. Most of these revolve around the custom applications that the CyanogenMod team adds to Android, though a few are more essential. If you're a big fan of Paranoid Android's Chat Heads-inspired Halo feature, I've got some unfortunate news for you. Yesterday a known member of the Paranoid Android development team, "PirateGhost," posted a reply to an XDA thread waiting on Halo in a new PA beta build. You are going to be waiting a loooooooooooong time. Halo is dead. The story was picked up by the folks at the Android subreddit, where reactions ranged from dismissive to inconsolable. Most custom ROMs require separate builds for separate carrier variants - one for an international model, one for an AT&T model, one for a Verizon model, and so on. CyanogenMod is trying to consolidate some of its most popular builds so that a single ROM ZIP file will work across several various device variants. Last month the CM team combined three HTC One builds, and today they're doing the same for Samsung's Galaxy S III, Galaxy S4, and Galaxy Note 3.